Our Staff. // Our people and who they are. Keith has over 35 years involvement in the land drilling and geotechnical industry. He spent his formative years learning the drilling trade 'the conventional way', working his way up from Drilling Support to Lead Driller. Established in 1984, Keith ran his own extremely successful drilling company, Danetre Drilling, for 20 years. In this period Keith had an unrivalled reputation for professionalism, quality and innovation. 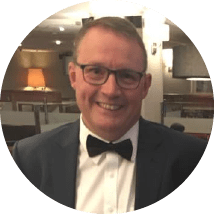 In 2006 he moved into Senior Management and has utilised his expertise, knowledge and values in his work as a trainer, an NVQ Assessor and BDA Auditor. Keith has also been an active member of the BDA since 1999. Whilst still an operational on-site operative, Keith served as the driller's representative on the committee and since founding Equipe has continued to be involved with a number of BDA initiatives such as the updating of guidance notes for Cable Percussion and Dynamic Sampling drilling. He has also been involved in the recent entire rewriting of the Land Drilling NVQ on the BDAs behalf. Keith currently sits on the Management Committee for the BDA, as well as the Safety/Standards/Technical Committee and the Training and Eduction Committee. 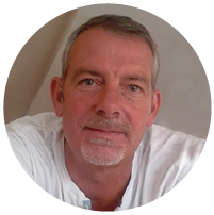 Julian has over 30 years experience in geology and geotechnics, with the last 25 years in site investigation. He graduated in 1990 after gaining an Honours degree in Applied Geology and Geography and worked in geotechnical consultancy before moving into contracting where he has been involved in all aspects of geotechnical investigation. In the last 6 years he has been involved in several leading edge Research and Development projects which have included partnerships with the British Geological Survey (BGS) and Birmingham University. 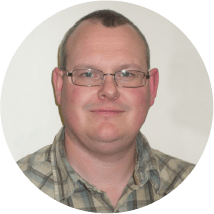 He has also been an active member of working parties for SISG Part 3, The UK Specification for Ground Investigation, and the BDA's guidance notes for Dynamic Sampling. In addition, Julian is also a member of the Association of Geotechnical and Geoenvironmental Specialists and is the current Vice Chair. Calum has a background in acting, marketing and graphic design. 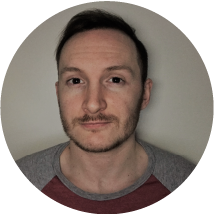 After beoming a part of the Equipe team in 2012, Calum has focussed on continually improving and developing Equipe's brand and marketing strategy, as well as being the main administrator behind Equipe's training courses. He is Equipe's webmaster and head of marketing communications, he was also the sole designer and editor of theGeotechnica magazine and is currently the sole designer and sits on the Editorial Board for the AGS Magazine. Since 2016, Calum has also taken on the role of Head Organiser for Geotechnica - the UK's Largest Geotechnical Conference and Exhibition. In addition, Calum is a graduate of The Geotechnical Academy, a geotechnical training programme run as a collaboration between Equipe and Geotechnical Engineering Ltd.
Richard is a Geologist and Commercial Manager with over 30 years' experience in the UK oil and gas and geotechnical and ground investigation sectors. Richard's experience ranges from on site management of ground investigation projects, detailed technical output, development of procurement and pricing strategies, regional office management, establishment of business development strategies for a number of leading ground investigation contractors as well as large multi-national, multi-disciplinary engineering consultancies.